In my search for a handgun to put an RMR on, I picked up a CZ P-10c. I had briefly considered the FN 509 Tact, then I came to my senses. This CZ (like my Rami and P-01) are flat out lasers. Very accurate guns. It’s got a very smooth trigger, slight bit a mush... not bad at all though. It really feels good in the hand. Definitely a thumbs up as Sootch would say. 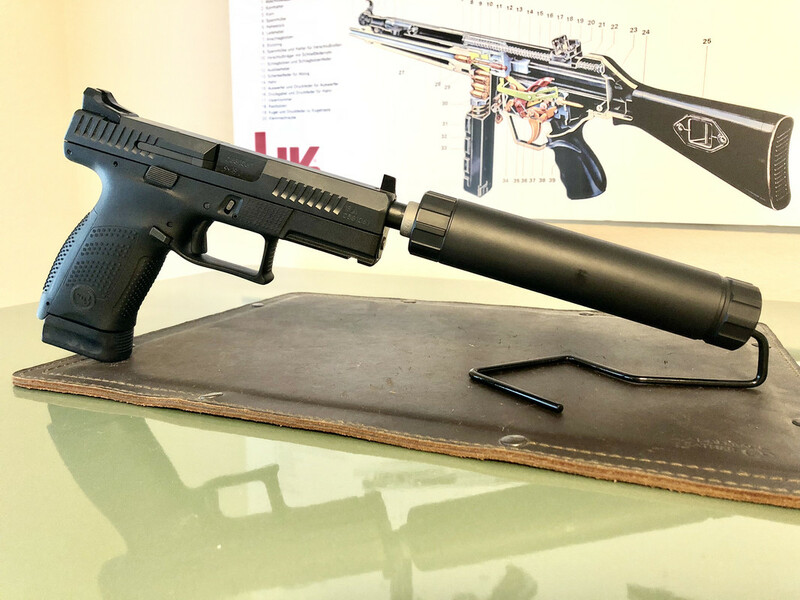 Gratuitous suppressor pic below. Congrats on your purchase! My wife loves her P-10c. Looks good. Does it use the CZ75 mags or its own ? It uses its own mags. They will fit the P07. But not the other way around. I thought newer P07s were coming with P10C mags in the box. That's one I've been curious about. Looking forward to your shooting results.